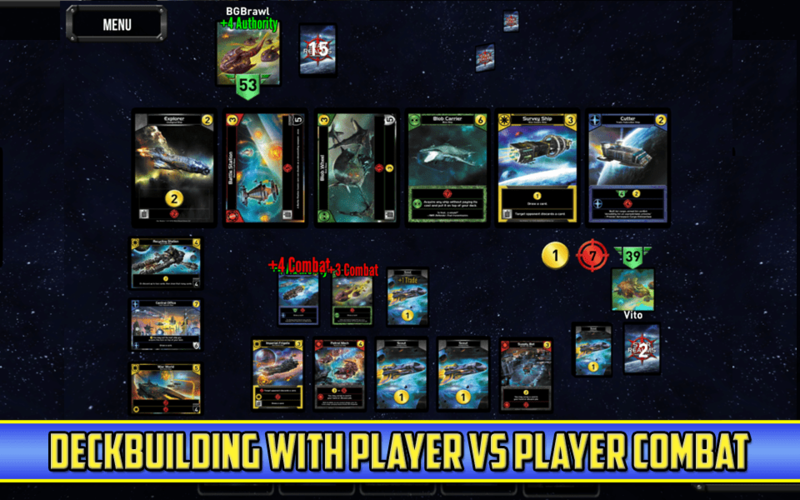 If you listen to and board gaming related podcasts or visit sites like boardgamegeek or thedicetower, then you’ve probably been hearing a lot of buzz recently about an addictive Deckbuilding game called Star Realms. 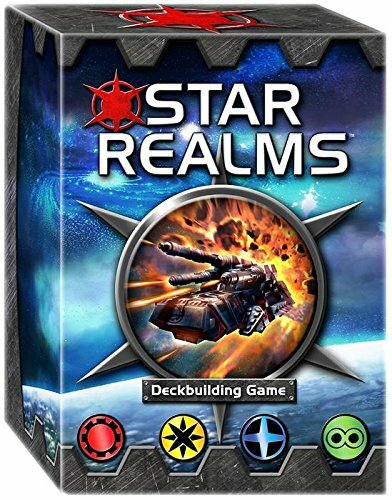 Born out of a very successful Kickstarter campaign, Star Realms was designed by Magic Hall of Famers Darwin Kastle and Rob Dougherty (of the Ascension Deckbuilding Game), and it has been applauded as being easy to learn and very approachable. Some have even gone as far as to call it an Ascension killer. Another big selling point of the game has been its price, retailing at just $15 (though prices are currently a bit elevated at the moment as WWG waits on the arrival of another print run). An iOS release of the game is due out very soon, but over the weekend developer White Wizard Games released their Android version of the game on the Google Play Store and it gives us iOS gamers a nice peak at what we can expect from both a features and pricing perspective. I have never played the physical version of the game before, but I’m really excited to check out this digital release. What is perhaps most surprising is how cheap the game is going to be. I confirmed that iOS will follow the same pricing as the Android release, which means you’ll be able to download the game for free and play local games against the AI and complete a six mission campaign mode. For a single $4.99 IAP you unlock the full game on future platforms (iOS, PC, Mac). Yo read that correctly, the official announcement stated that only a single $4.99 IAP purchase is required to unlock the full game on all platforms…wow! Not sure how they plan to do this within the confines of Apple’s IAP machine, unless they are using an external method for unlocks but this is great news! That’s one-third the price of the physical game and you add additional AI difficulties, nine additional missions, local pass and play multiplayer or asynchronous and live online play. I’m guessing that the game offers cross-platform play as well, or will at some point. Star Realms will no doubt be an instant pickup for me, look for a notification on twitter and this site when it is released on iOS. Addictive Deckbuilding Game with Player VS Player Combat. Tutorial teaches you to play in minutes. Play the AI on 3 different difficulty settings. Battle friends face to face with Pass and Play. Online play with global rankings.